Harris Lebus had its origins in the 1840s when Louis Lebus, a Jewish cabinetmaker, emigrated from Breslau, Germany, to England. Lebus may, like many German emigrants, have been heading for America; the east-coast town of Hull where he landed was a common pied a terre for those on their way farther west, as it was less costly to cross the Atlantic from Liverpool, than directly from continental northern Europe. Many such travelers stayed in England for periods that varied from weeks to years. Some never left. Whether or not Louis Lebus had intended to continue westward, he enjoyed good fortune during his initial sojourn in England. He set up shop as a cabinetmaker in Hull, where his business flourished. He then moved to London, where he outgrew one set of premises after another, and in 1875 he moved with his family to the relatively prosperous Georgian neighborhood of Wellclose Square. Like many businessmen of the day, Lebus operated a workshop out of his family home; before long, he expanded into the house next door. Eventually he employed some 30 men at Wellclose Square, making residential furniture and businessmen’s desks, all by hand. According to census records, the Louis Lebus household encompassed not just the nuclear family, but lodgers and at least one servant. When Louis died in 1879, his eldest son, Harris, took over the firm, relocating the shop to Tabernacle Street, near London’s Curtain Road. London’s furniture industry had changed markedly in the mid-nineteenth century, with the city’s growing population and the emergence of a middle class whose members aspired to live in style. The resulting demand for affordable furniture prompted the development of furniture manufacturing in London’s East End. Unlike West End shops, which had a long tradition of refined craftsmanship grounded in the apprenticeship system, the Curtain Road trade offered opportunities to those of large ambition and little means. Many entrepreneurs kept costs low by working to order and dividing furniture construction into a series of simple processes that could be done by unskilled help. By the 1880s Harris Lebus was no small-time tradesman, but the head of an established firm with dedicated manufacturing premises outside his family’s home. Although the company had not originated in the hardscrabble world of East End furniture making, it prospered mightily in that milieu, which offered a source of capable, low-cost workers trained in the hurly-burly of the trade. By the 1890s Lebus had become England’s largest furniture maker, with around 1,000 employees. 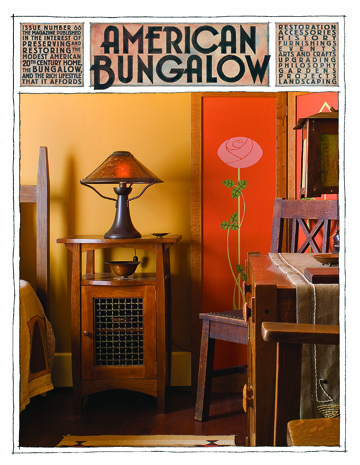 Between 1890 and 1910 Lebus produced striking Arts and Crafts-style furniture. Many pieces were made in oak and incorporated stylistic elements such as exaggerated bevels and bracket-supported overhangs, ring-turned feet, beaten copper panels with Art Nouveau motifs, capped finials and heavy, Gothic hardware. It was not unusual for several of these elements to appear in a single piece. The company’s designs are further notable for their wide stylistic variation; some pieces are graceful and refined, others angular and chunky. Delicate and muscular are often combined, as are Art Nouveau and Gothic. And respond Lebus did, in every facet of its operation. The company had a private phone line for calls from Maples, a large furnishings store located near Heal’s on the Tottenham Court Road in downtown London, and also Lebus’s most valuable commercial account. A salesman called on Maples twice daily to take orders. The company also exported to South Africa, Australia, New Zealand, India, and South America, in addition to France, where they had a showroom in Paris’s Fauberg St. Antoine. In New York they sold their products through Wanamakers. Lebus further responded to the demands of commercial survival by regularly updating its premises and equipment. In January of 1900, needing room for further expansion, Harris Lebus purchased 13-1/2 acres of land in Tottenham—at the time a village north of London on the marshy banks of the River Lea. The river location was ideal for procuring materials, many of which came from overseas—hardwoods from the United States and softwoods from Eastern Europe. The new factory was also located on two railroad lines. The Lebus works at this location would eventually cover 43 acres. At its zenith, Harris Lebus encompassed many departments—designers, draftsmen, machinists, cabinetmakers, jig makers, upholsterers, veneer-press operators, polishers, and spray-finishers—and produced wardrobes, dressers, dining sets, hallstands and sideboards. The company treated its workers, who included women and many Jewish immigrants, with a paternalism that would seem foreign today, though it was common among large employers at the time; they had in-house cooks, barbers, and a social club, as well as other employee-serving amenities. Harris Lebus continued operating into the 1960s, keeping thousands of workers employed through some of England’s most challenging years, largely by virtue of its success in adapting to changing times. During the First World War, the company produced materiel for the ground war on the continent as well as parts for Handley Page and Vickers-Vimy aircraft. During the Second World War, with 6,000 employees, the company manufactured Horsa gliders, Mosquito planes, and wooden replicas of Sherman tanks designed to deceive German pilots. In the post-war years, it participated in a government-sponsored plan to provide affordable utility furniture to returning veterans and their families whose homes had been destroyed by bombing and rocket attacks. This very longevity may be one of the reasons for Lebus’s lack of recognition among today’s Arts and Crafts enthusiasts. In contrast to the movement’s leaders, who refused on principle to adapt to changing fashions after the First World War, Lebus deftly responded to public demand for more streamlined modern styles, and continued to do so for 50 years. The company’s newfound visibility has resulted largely from the assessment and cleanup of the urban brownfield left behind after its closing. Around 2004, the Borough of Haringey pursued plans to transform the former Lebus property north of Ferry Lane into a riverside asset, which entailed testing for toxic residues left from earlier uses of the land. That investigation led researchers to rediscover the almost forgotten company. Recognizing that the Lebus story held the potential to strengthen community identity, the borough subsidized an exhibition at the Bruce Castle Museum. Through several generations, family directors steered Harris Lebus on a steady course, neither ruthlessly exploiting their workers nor abandoning their enterprise on the grounds that they would never achieve social or artistic perfection. The company’s Arts and Crafts furniture may have been made in a production-style factory, rather than a small, craft-based workshop, but the workers who made that furniture enjoyed conditions radically superior to those endured by their Dickensian predecessors, and Harris Lebus should be recognized for its significant contribution to the Arts & Crafts ideal of making beautiful, useful objects to those of relatively modest means. This article was written by Nancy R. Hiller and is reproduced here with her permission. 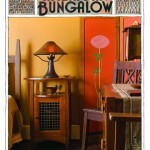 A version of this essay appeared in American Bungalow magazine. Thanks, Nancy,very interesting. I recently inherited my grandfather’s roll top desk with top (glass doored cabinet) and am in process of fixing the broken roll top. I love the desk and it was great to read about the company which made it so long ago.